Organisations operating within a private cloud have access to a distinct and secure environment that only they can operate within. Although a private cloud provides many similar benefits to a public cloud – including scalability, efficiency & features – it also provides the security, control and performance expected from a dedicated private network. Similar to a more traditional technology model using local area networks, but with the added benefit of being a virtual environment, a private cloud is offered “as-a-service” with a pool of resources, only accessible by one particular organisation. This is in contrast to a public cloud, where multiple clients access a pool of resources across public networks. 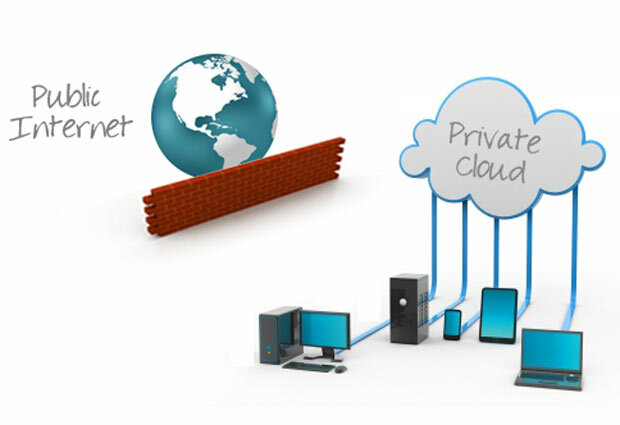 Servers may be hosted internally or externally (co-located at a data centre, for example) and accessed via private leased lines or via secure, encrypted connections, making a private cloud ideal for enterprises needing to store private data or carry out sensitive tasks & communications. The private cloud model is proving to be a much more suitable and sustainable solution for large enterprises, and organisations within defence, policing, and the financial and healthcare sectors in particular, where policies, regulations and requirements dictate the need for higher levels of security and privacy, but the organisation would also benefit greatly from efficiency in resource allocation, improved resilience and reliability and the cost benefits associated with these improvements. By using a distinct pool of resources within an organisations own network, access is restricted and connections to the servers can only be made by the IT team within the organisation. By removing the security implications of data and servers located on the public internet, organisations can be more certain of how & where their data is being viewed, and by whom. With much more control over the design and configuration, organisations can deploy a private cloud solution that is tailored to their own requirements. Although this means that some cost benefits of using a public cloud are removed i.e. the high economies of scale benefits with purchasing huge levels of equipment, and the reduced costs associated with centralised management, organisations can be more specific as to what is needed for them. The “one-size-fits-all” approach doesn’t suit everyone, and it shouldn’t have to. Management and on-going configuration can be controlled by internal IT teams who understand your organisations needs, policies and regulations. By having this control over your cloud, organisations can improve allocation of resources and IT can directly respond to the needs of teams, locations and departments with a much better understanding of exactly what is needed, when and where. Organisations looking to deploy their Video Conferencing Infrastructure as or within a private cloud recognise the reduced costs and improved efficiency associated with video-as-a-service, and are looking to introduce innovative models to make their enterprise more agile and productive whilst simplifying infrastructure and operations. Video Conferencing has been recognised to have a huge range of benefits for organisations of all sizes, however adoption has been lower than would be expected over the years due to the high up front costs associated with both deployment and ongoing maintenance, alongside the inability to communicate freely and easily with other organisations. By deploying video conferencing infrastructure in a private cloud, organisations are now able to reap the benefits of virtualisation and an OpEx model of spending, whilst ensuring they are more flexible, agile and efficient in their communications than ever before. There are a number of solutions VideoCentric would recommend for deployment within a private cloud. 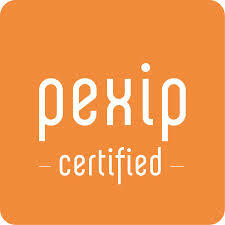 For organisations looking for a virtualised MCU, distributed gateway or transcoding engine that provides full interoperability and connectivity between mobile, desktop and room based devices, Pexip Infinity can be easily integrated within a network, providing the highest quality video, audio and data conferencing for SMB’s to global enterprises. Or, for organisations looking for a full range of collaboration tools including video, voice, messaging, presence, conferencing, mobility and contact centre services, Cisco’s Collaboration Meeting Rooms solution brings together industry-leading video conferencing infrastructure with WebEx Meetings Server to enable business-quality video collaboration that combines video, voice and content sharing technologies. VideoCentric can assist you in any stages of your cloud strategy. Whether you are looking to deploy a private cloud solution, upgrade your infrastructure to a virtualised platform, or need additional recommendations, design services and network planning and integration, talk to us today and bring modern, business-class Video Communications into your organisation.